We first read about Teeth of the Dog at Casa de Campo in the Dominican Republic, our choice for Pete Dye’s greatest course design, many years ago in the famous (and original) golf travel coffee-table book, The World Atlas of Golf, a Hidden Links favorite still today. 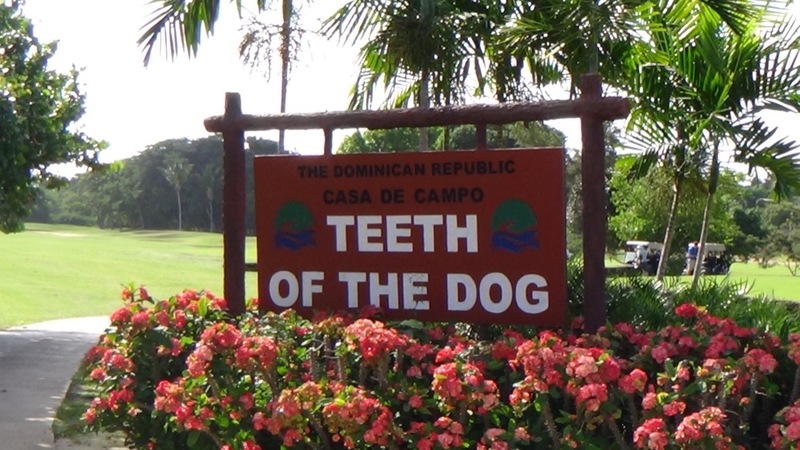 The book was published when Teeth of the Dog was still called “Cajuiles”, as it was originally named for the beautiful cashew trees that grew in the nearby mountains. 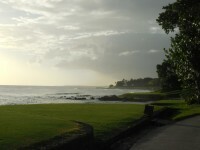 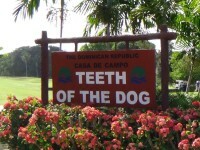 Fortunately for connoisseurs of the world’s great courses who like their courses to have a little bit of cache instead of cashews, Pete Dye heard some locals refer to the sharp dangerous coral off of the Casa de Campo coast as “diente del perro”, which translates to “Teeth of the Dog”, and the legend was born! 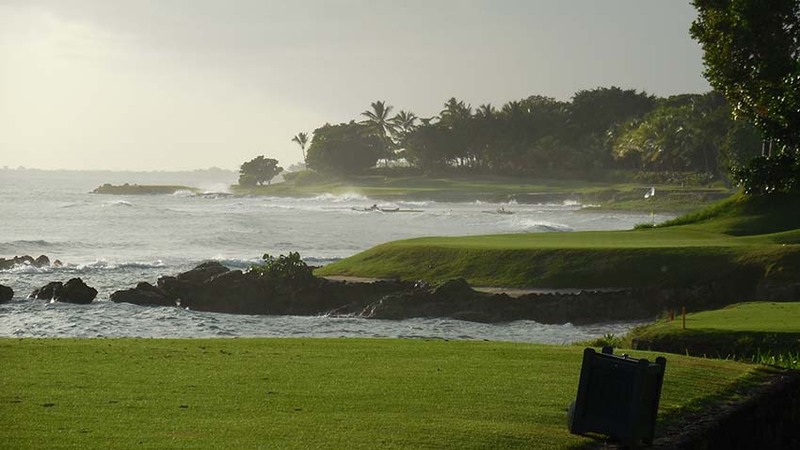 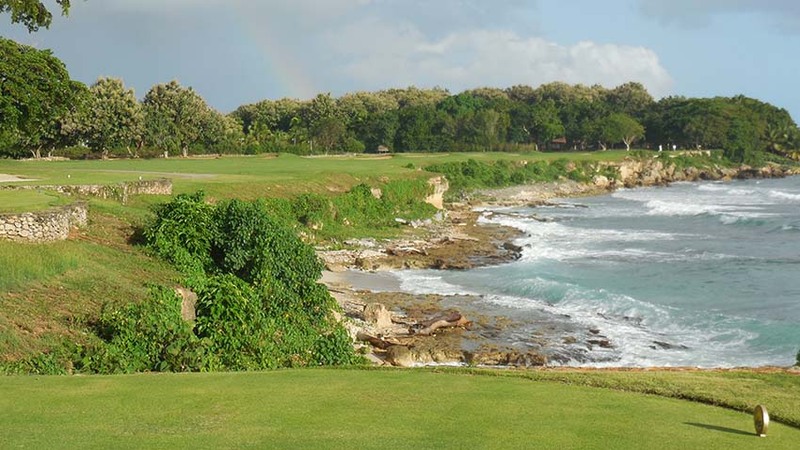 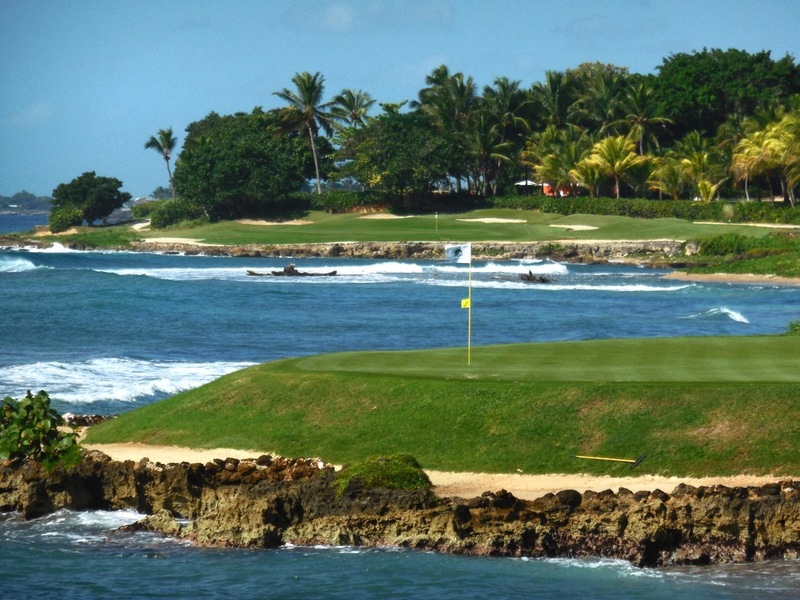 Teeth of the Dog is the #1 rated course not only in Dominican Republic but in the entire Caribbean and Teeth of the Dog’s seven seaside holes rate at or near the top of any list of most spectacular holes along the ocean that a golfer could ever play. 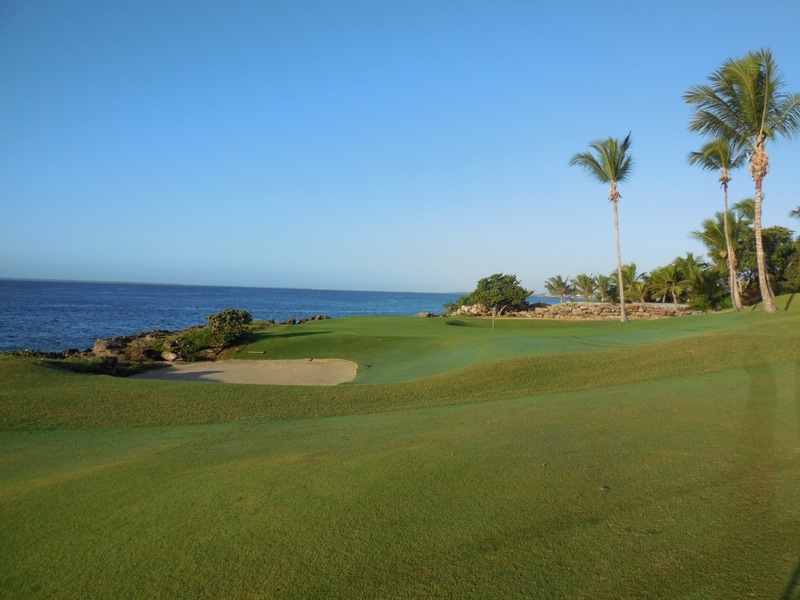 The oceanfront holes at Casa de Campo’s Teeth of the Dog begin with the par-3 5th and we can guarantee that at first glance this will immediately become your favorite hole. Part seventh-at-Pebble-Beach, part-Postage-Stamp-at-Troon, the 5th at Teeth of the Dog Casa de Campo is just a short iron or even a flip wedge yet it carries a small beach so appealing that you could practically see a family down there enjoying the day. 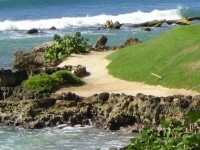 And being a true beach, they would have every right to be there! 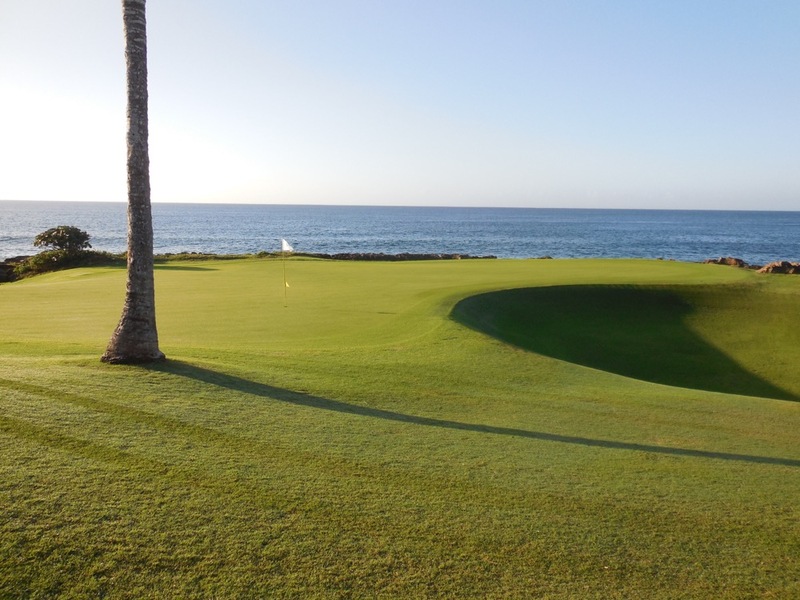 Any ball that finds the green on Teeth of the Dog’s 5th hole is guaranteed to have a legitimate birdie opportunity, the target is that small. 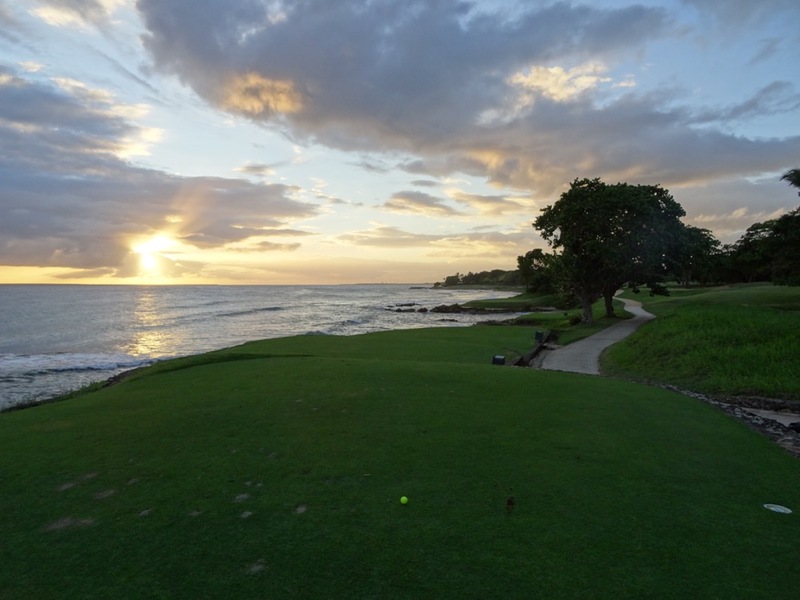 It’s a hole that you could sneak on at sunset and play it ten times in a row before it gets too dark, and we must confess that we have done just that! 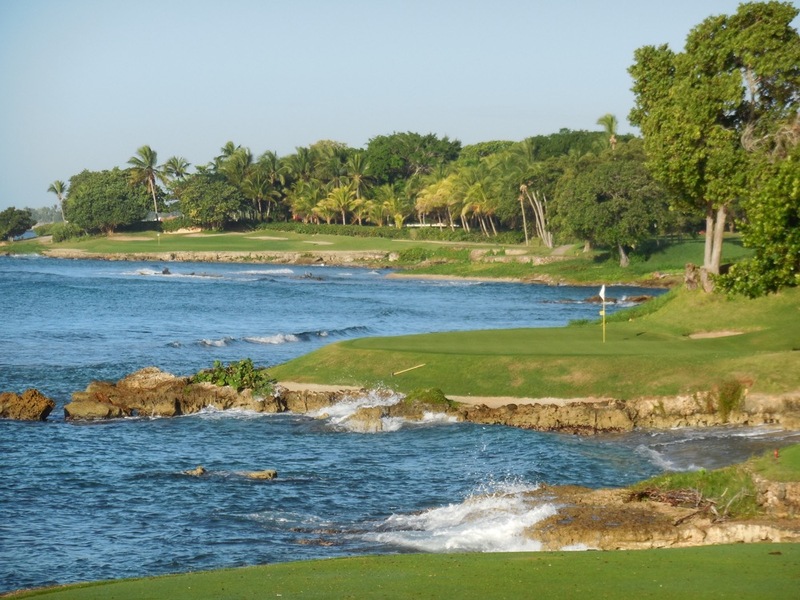 The 7th hole at Teeth of the Dog Casa de Campo really stands out as this is a monster par-3 over the Caribbean Sea, the hole that really put Teeth of the Dog at Casa de Campo on the map. 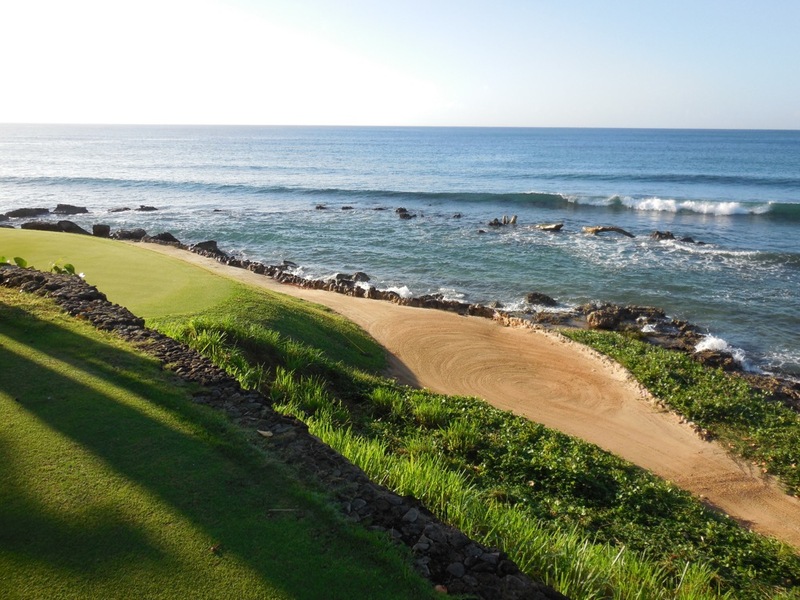 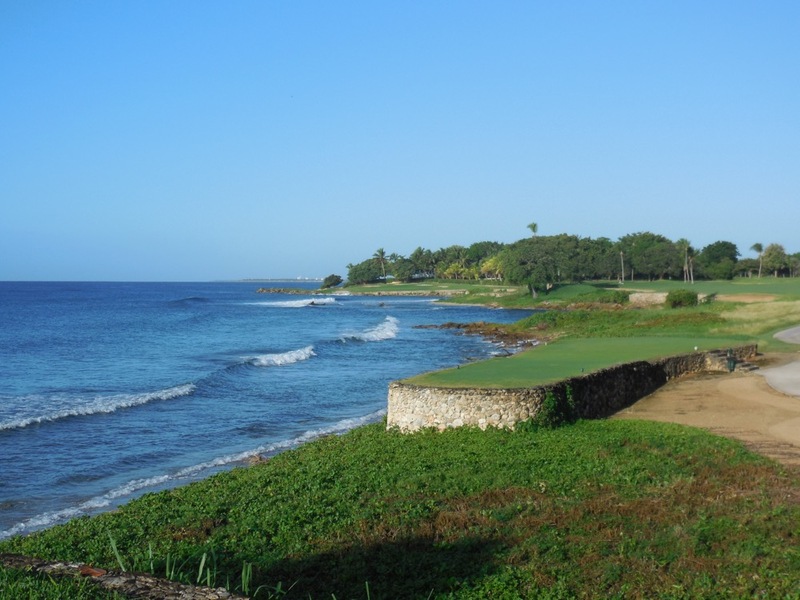 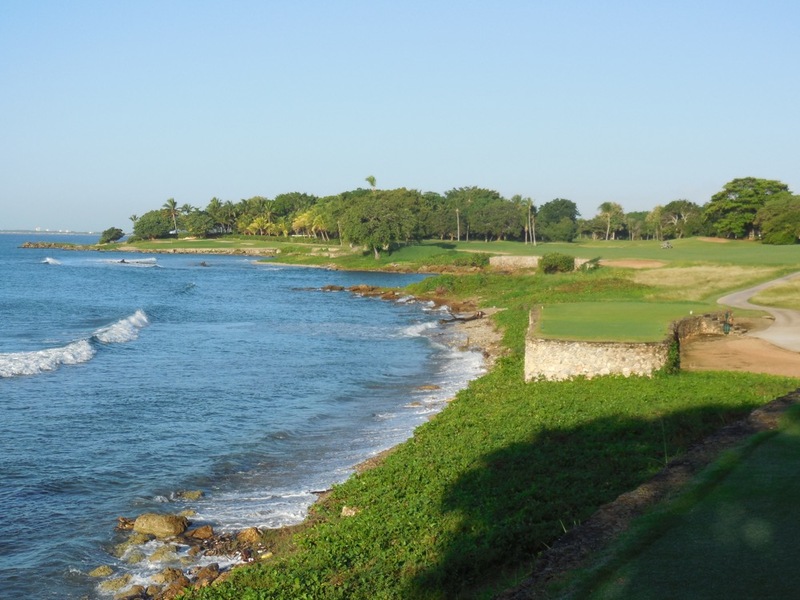 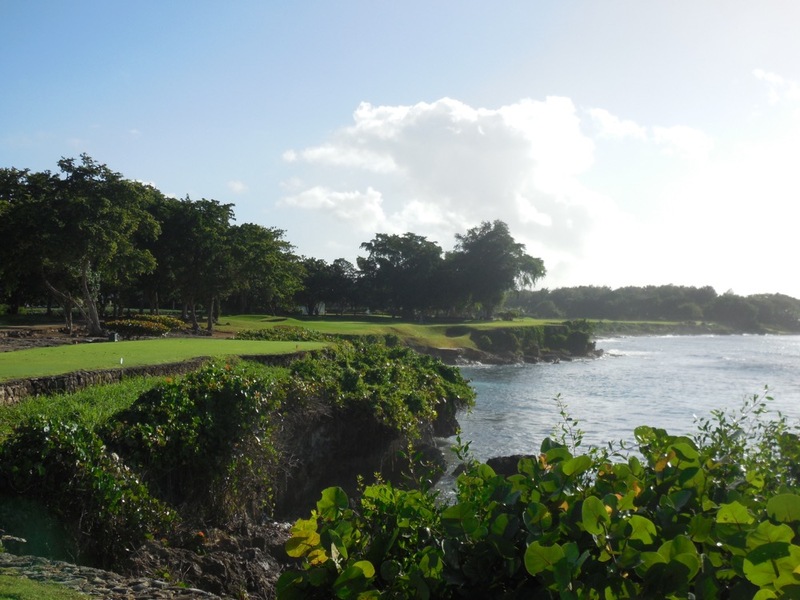 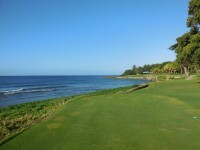 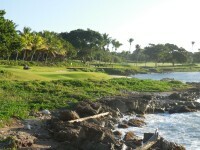 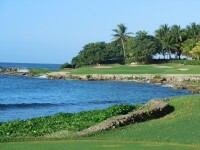 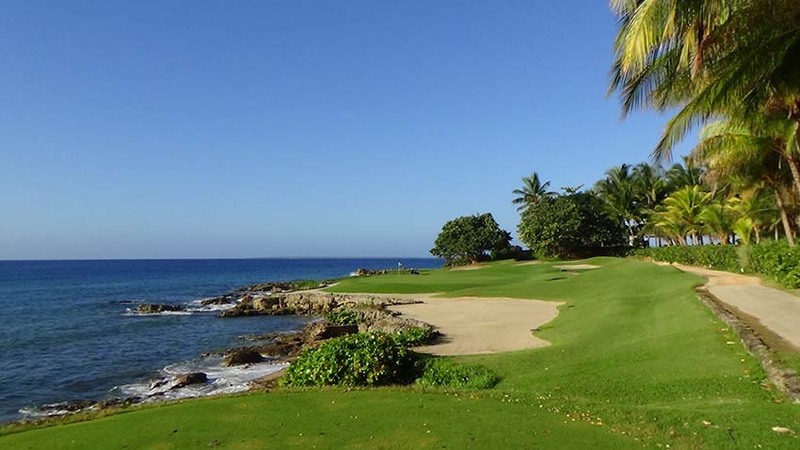 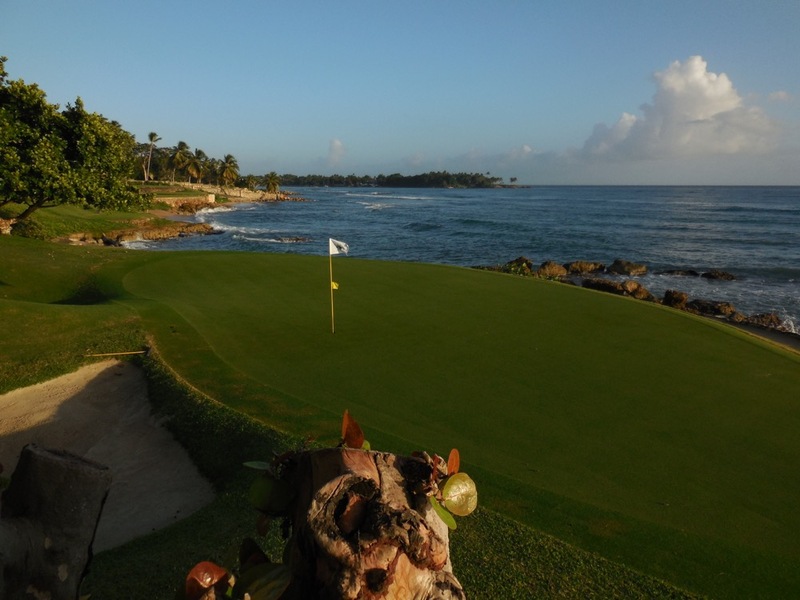 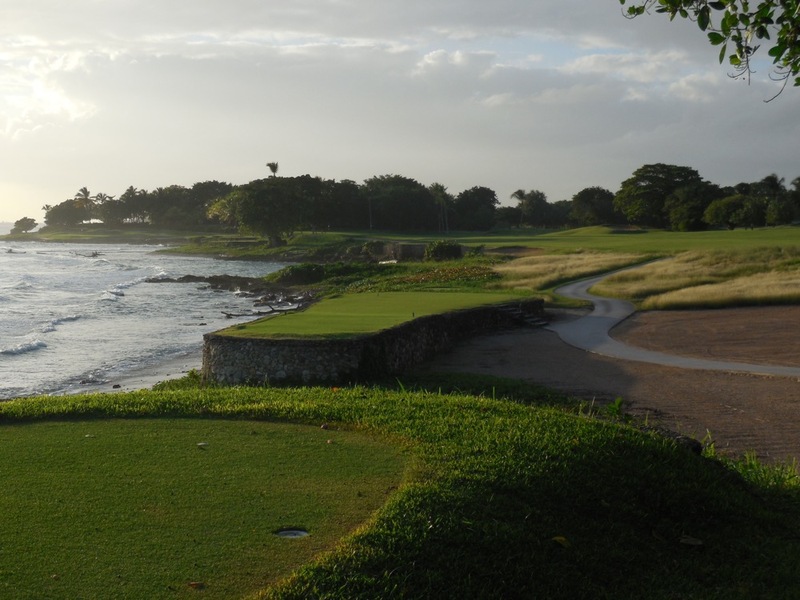 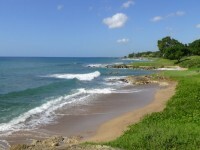 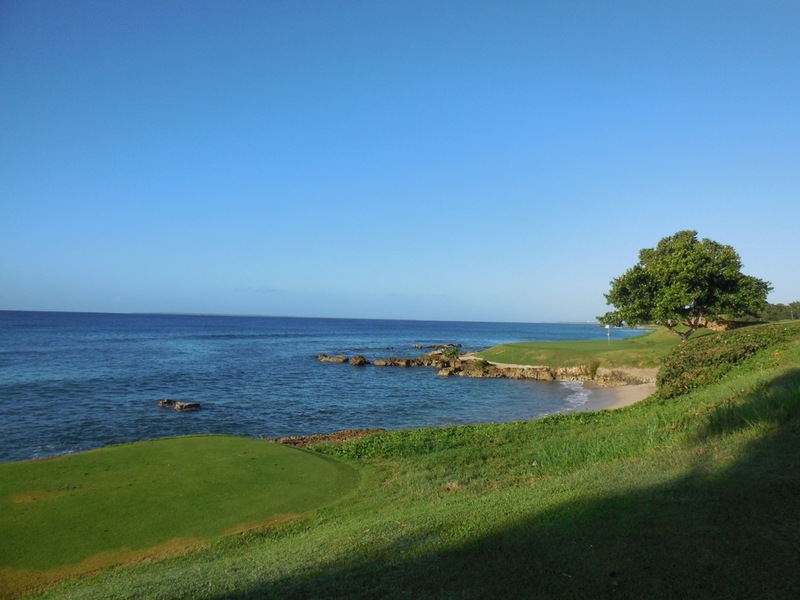 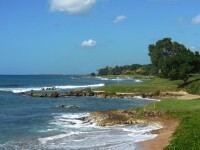 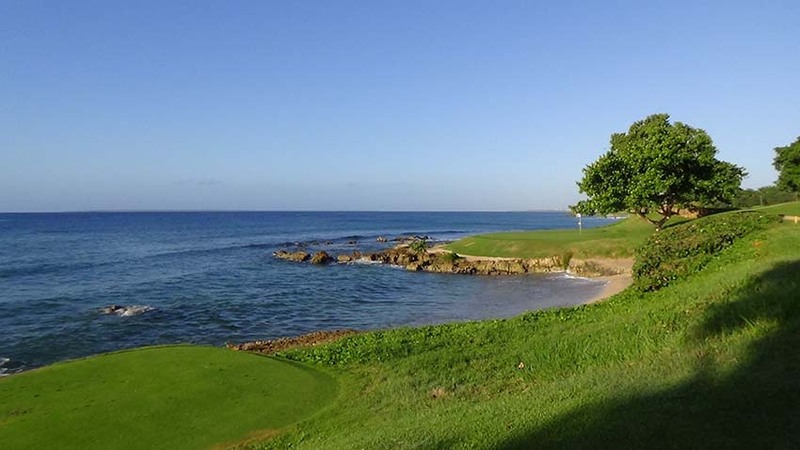 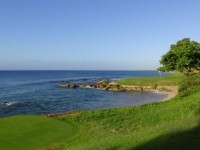 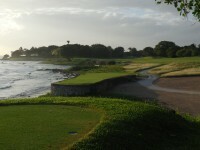 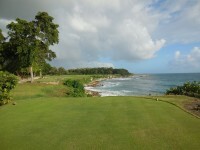 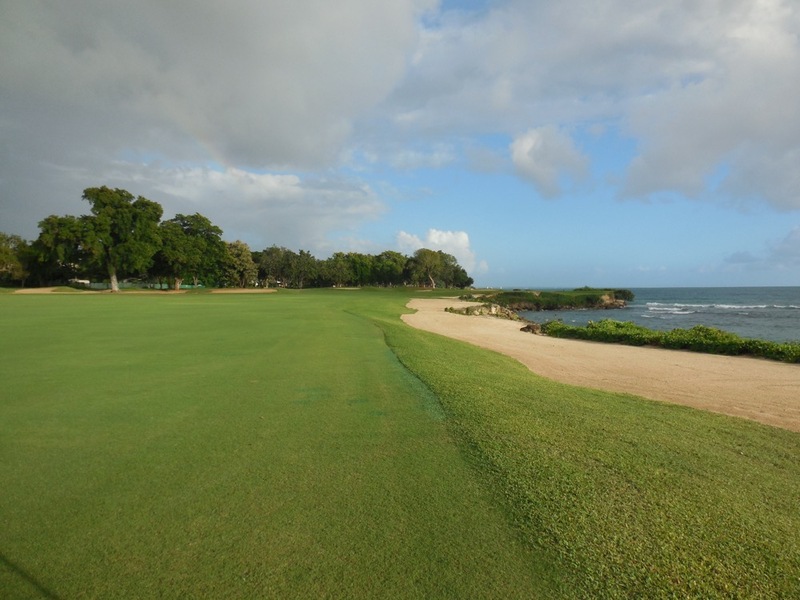 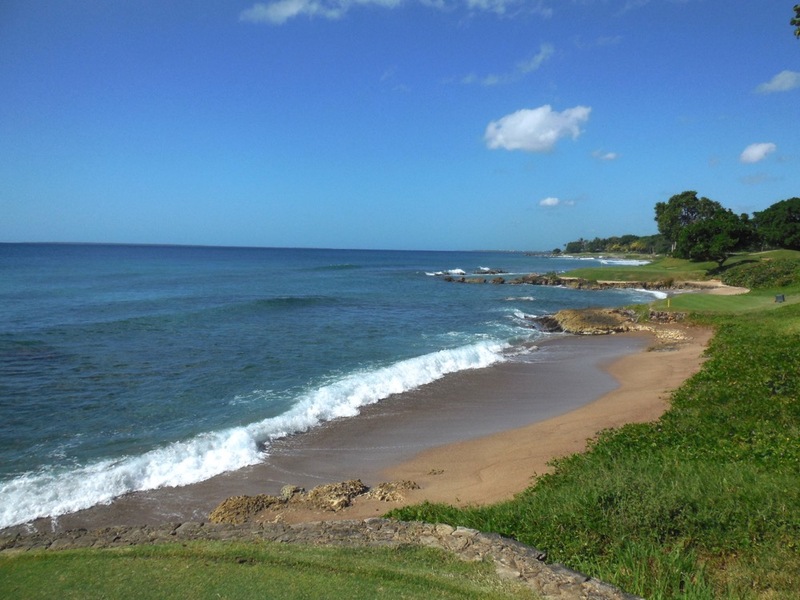 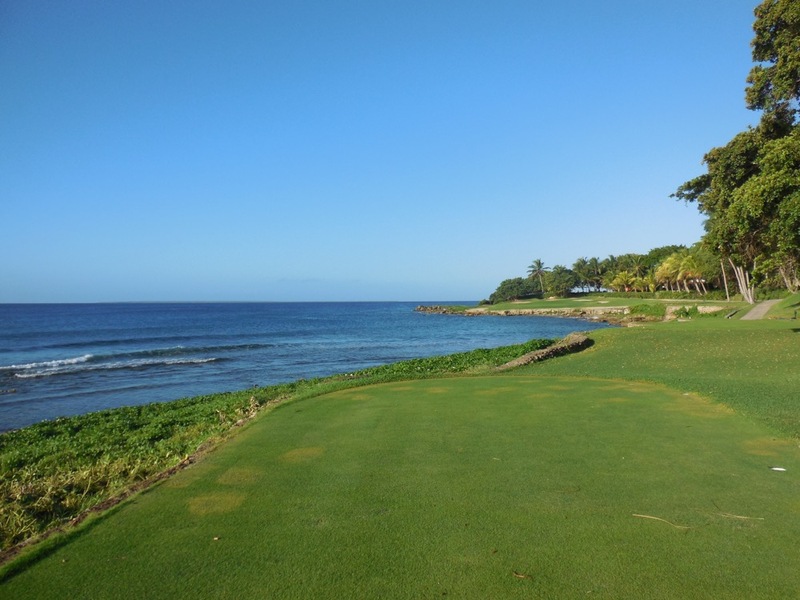 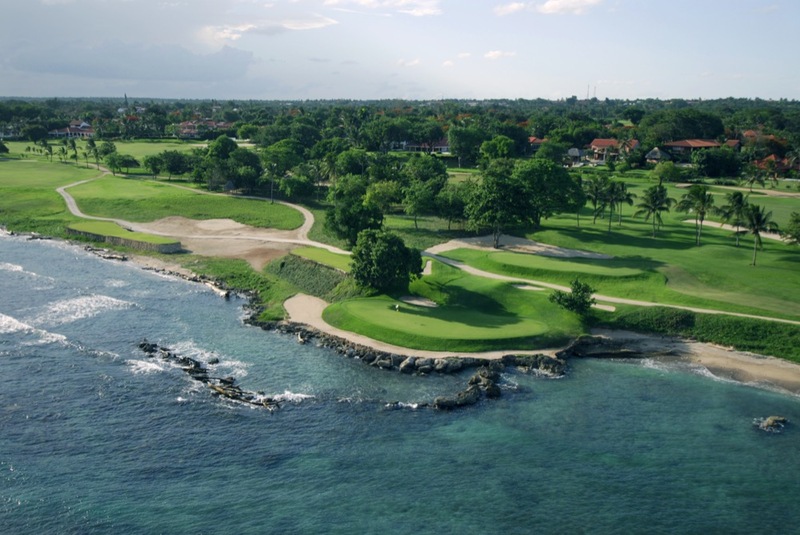 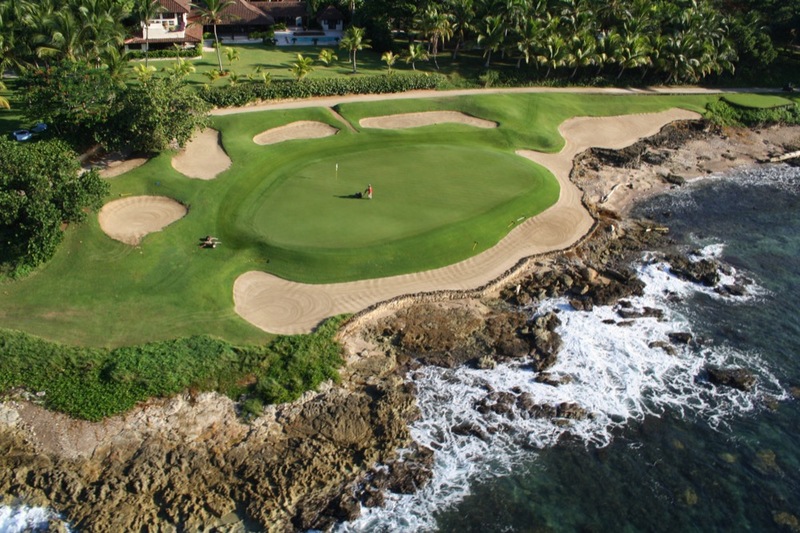 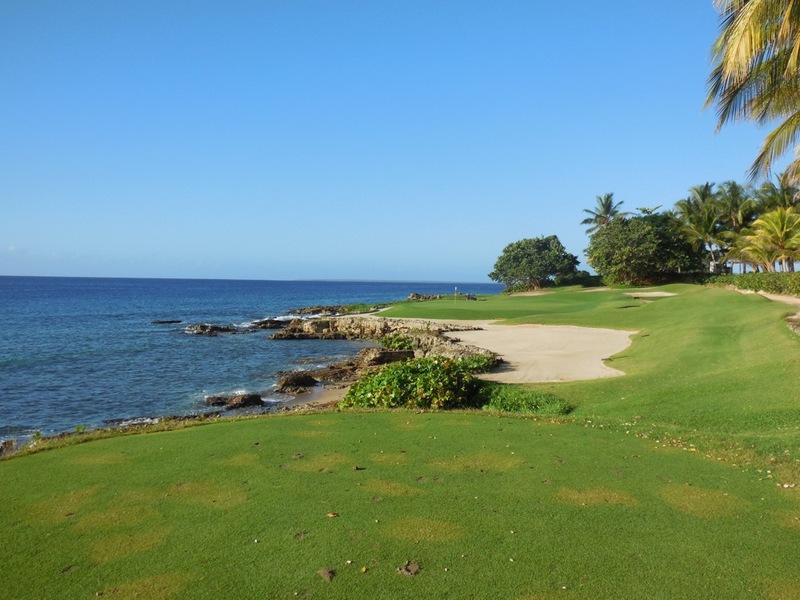 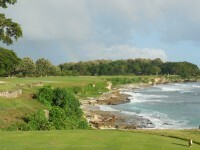 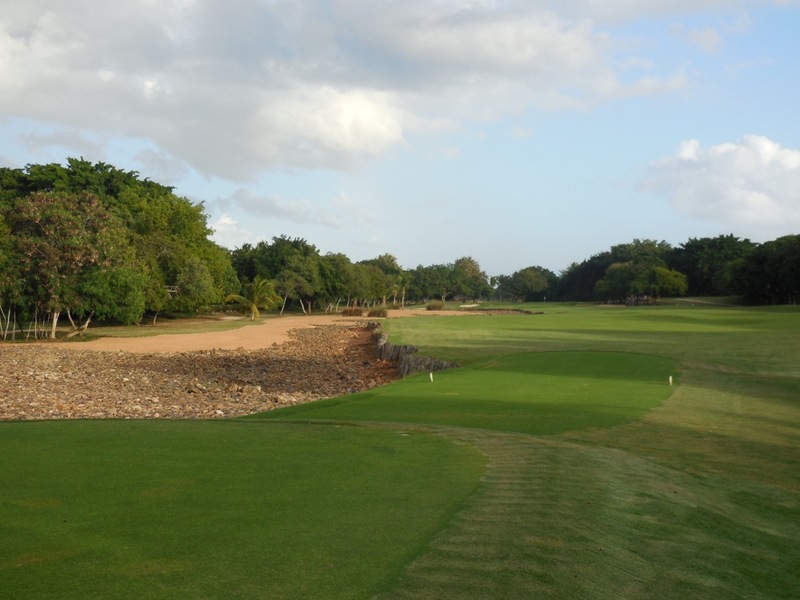 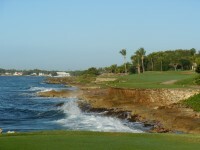 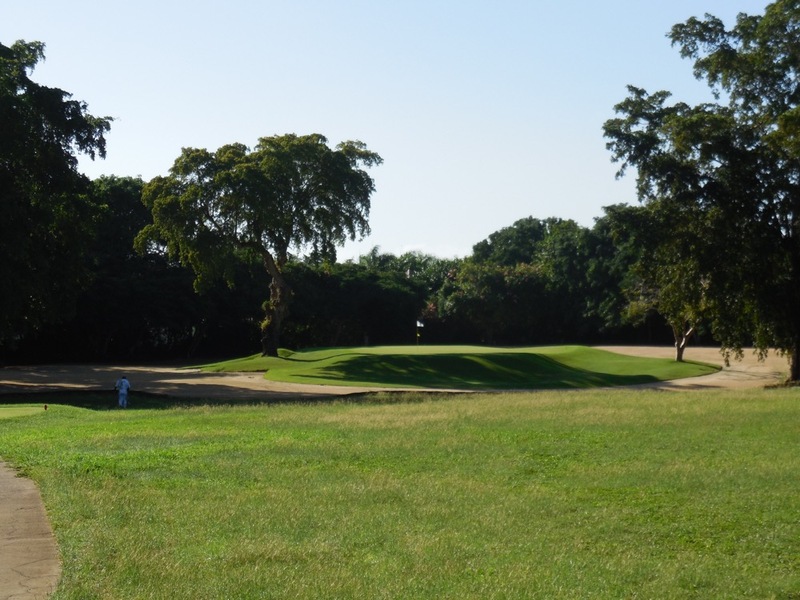 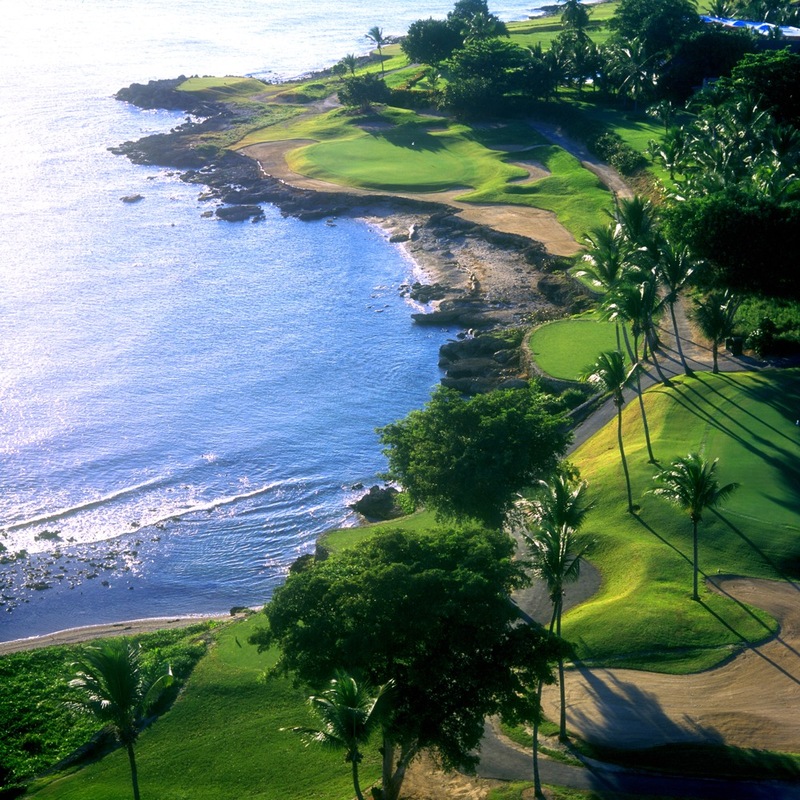 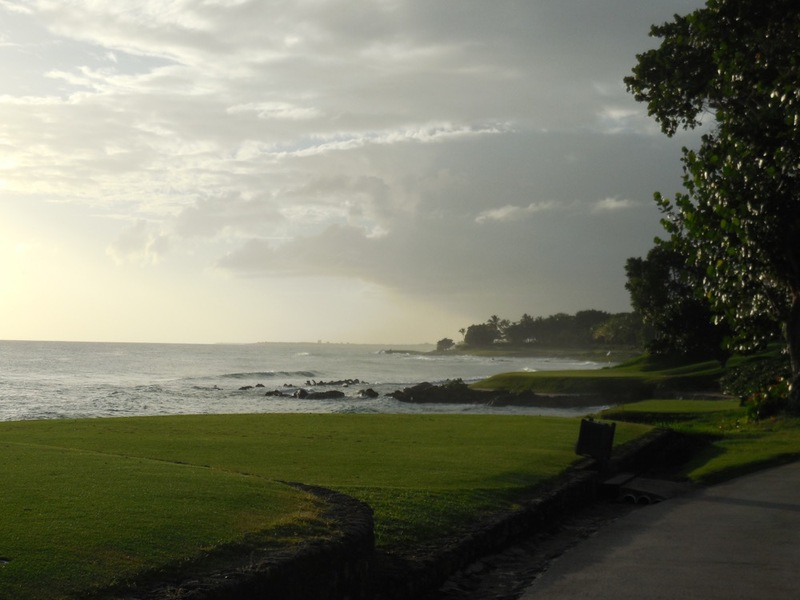 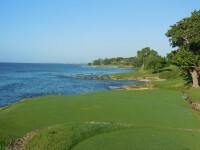 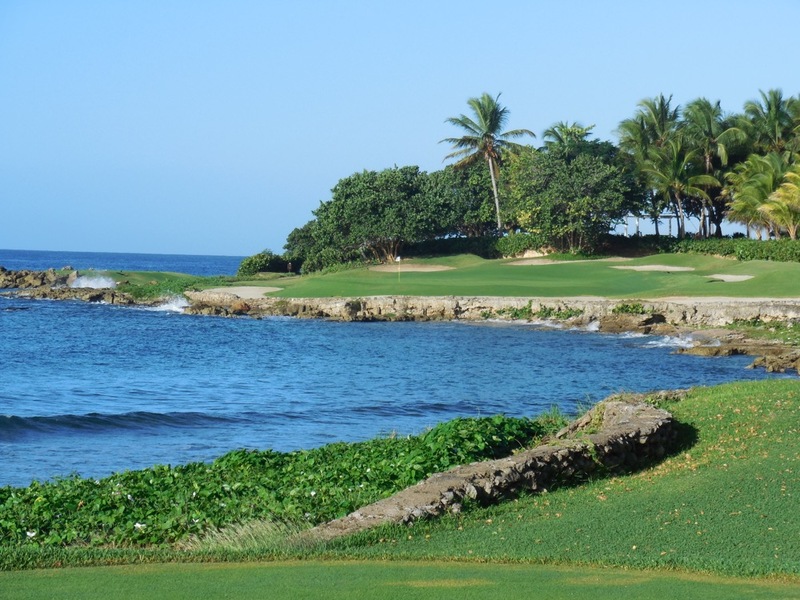 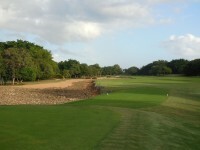 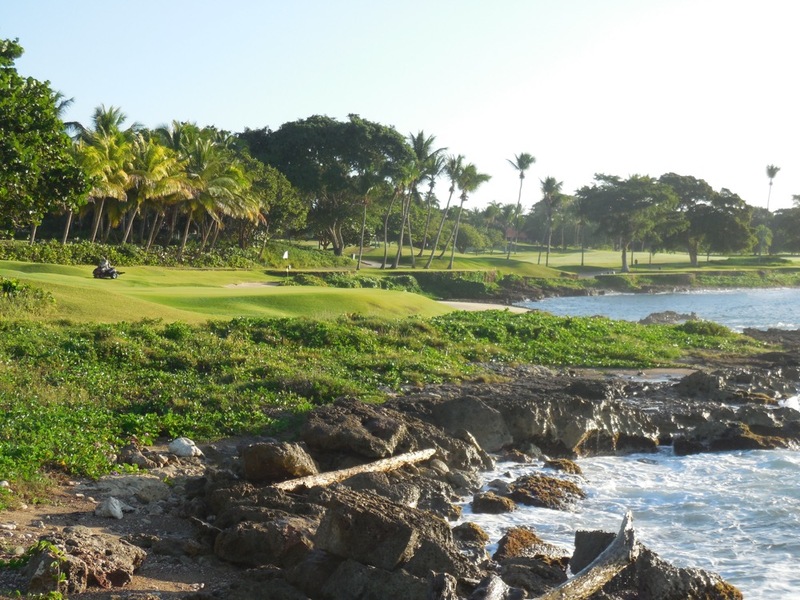 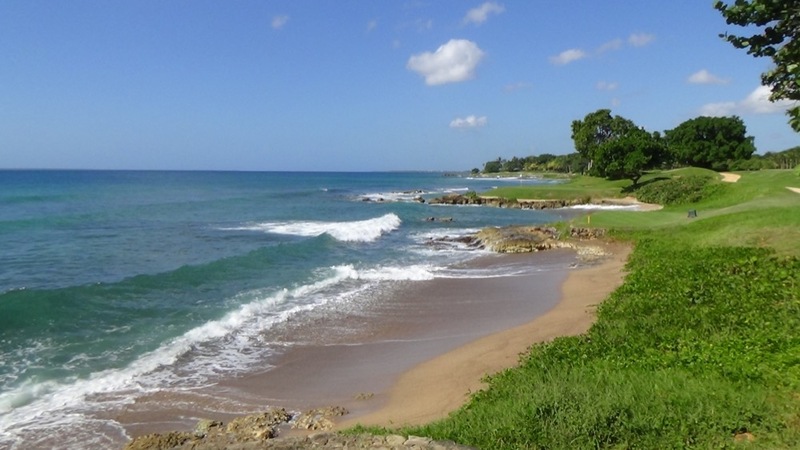 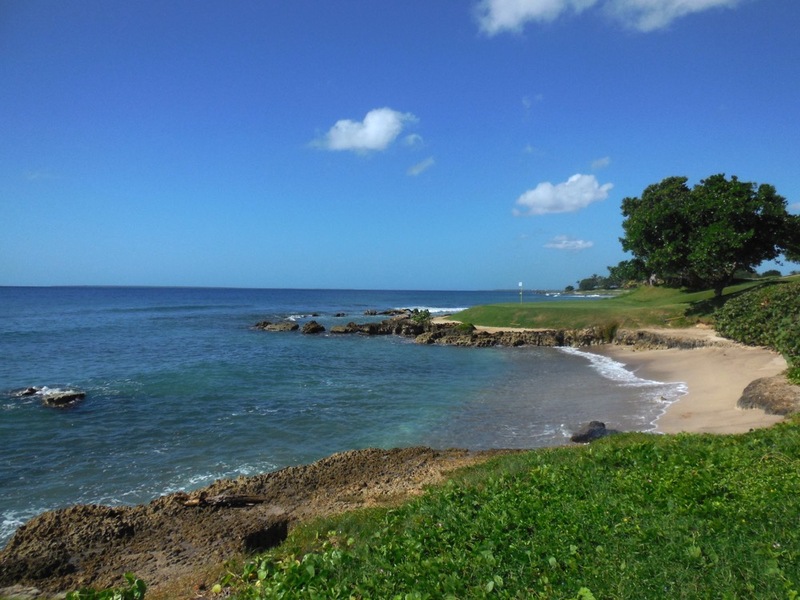 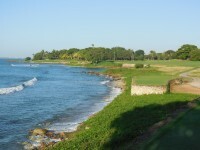 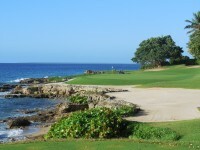 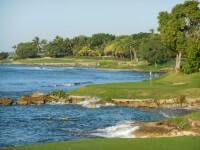 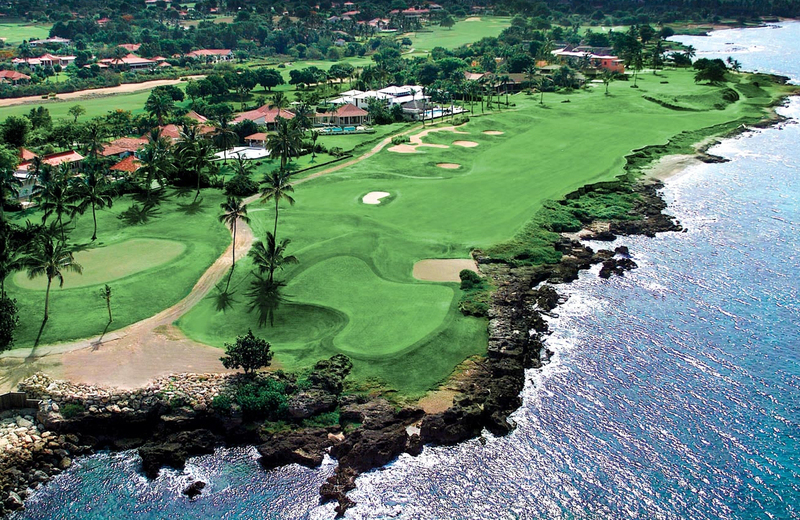 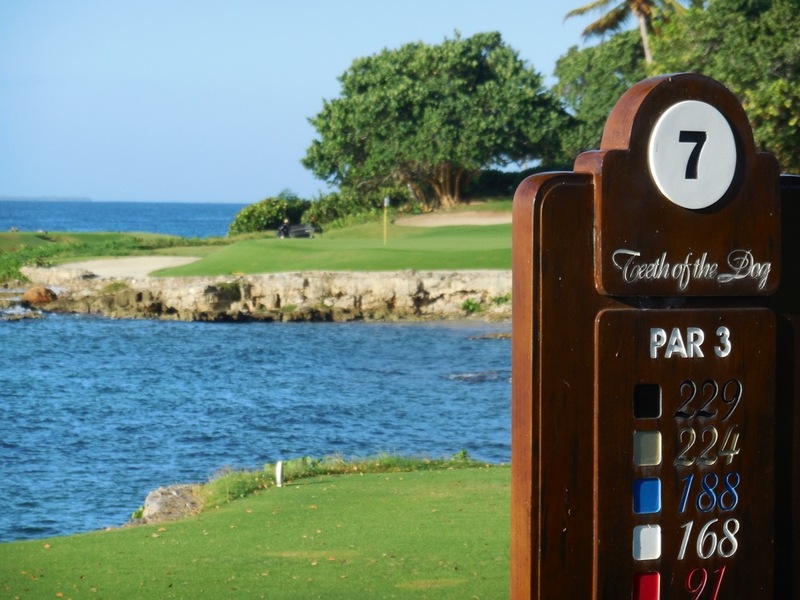 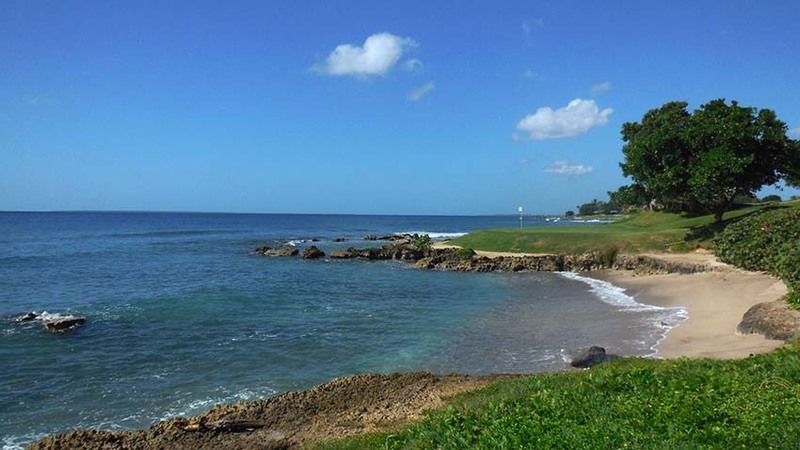 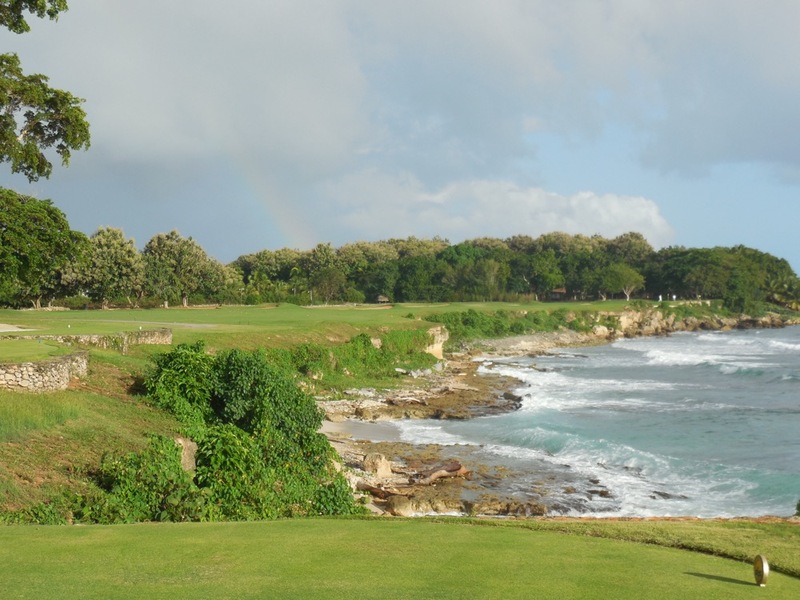 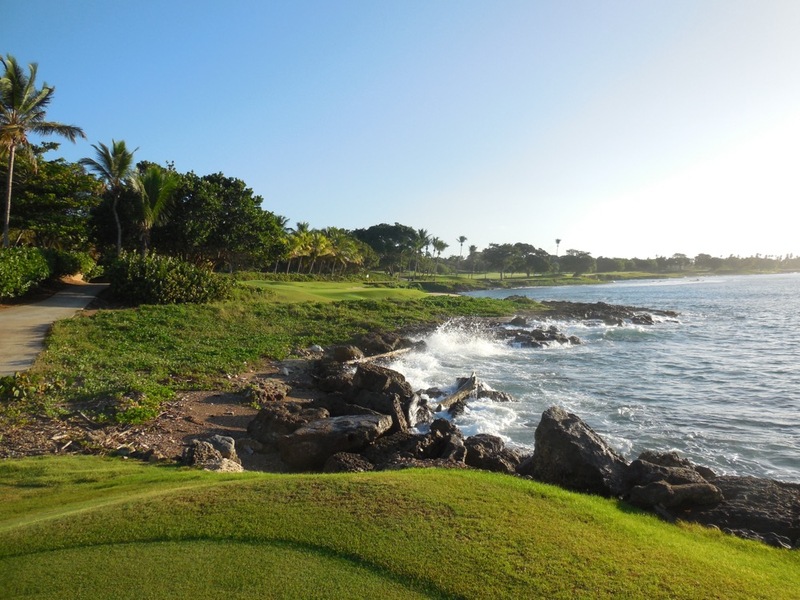 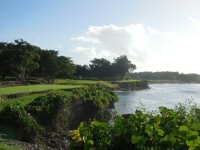 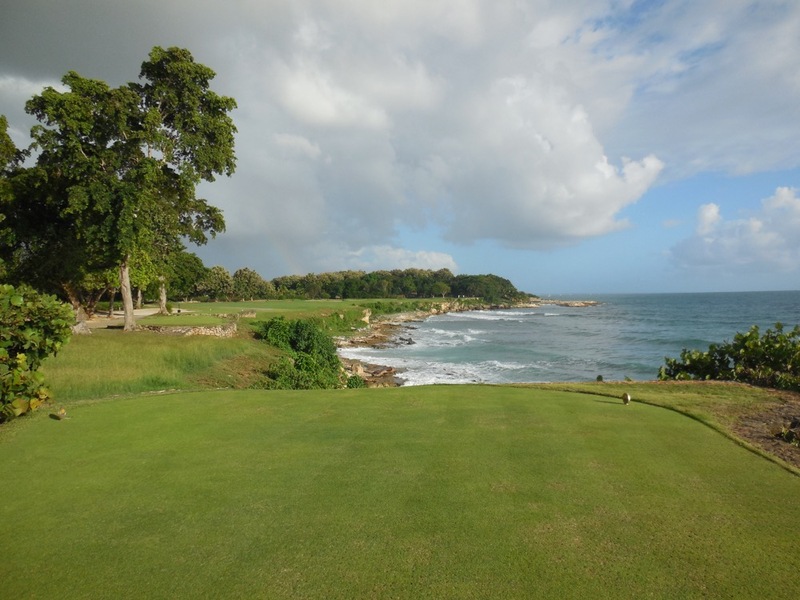 The last four holes of the front nine at Casa de Campo’s Teeth of the Dog all play with the Caribbean to the left. 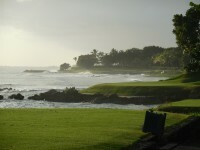 The back nine of Teeth of the Dog loops inland and returns to the sea on the 15th for a spectacular three-hole stretch a bit higher over the water, only this time with the sea on the right. 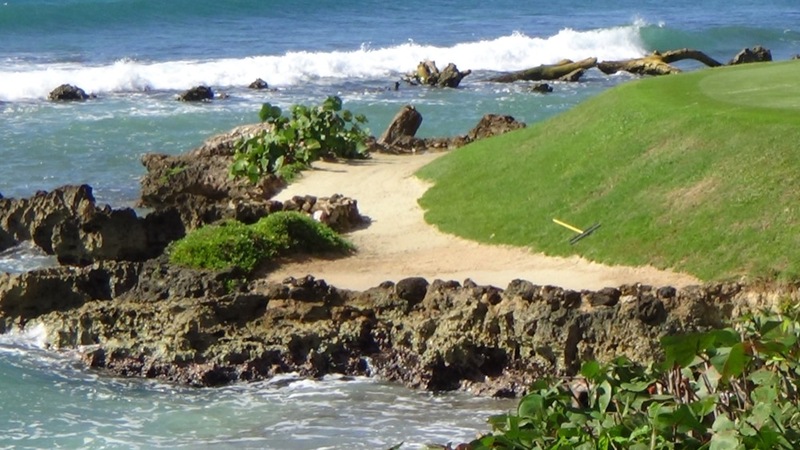 Teeth of the Dog is simply amazing and the inland holes are fantastic as well with memorable bunkering especially the one surrounding the par-3 13th making it a veritable island. 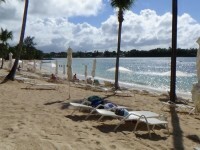 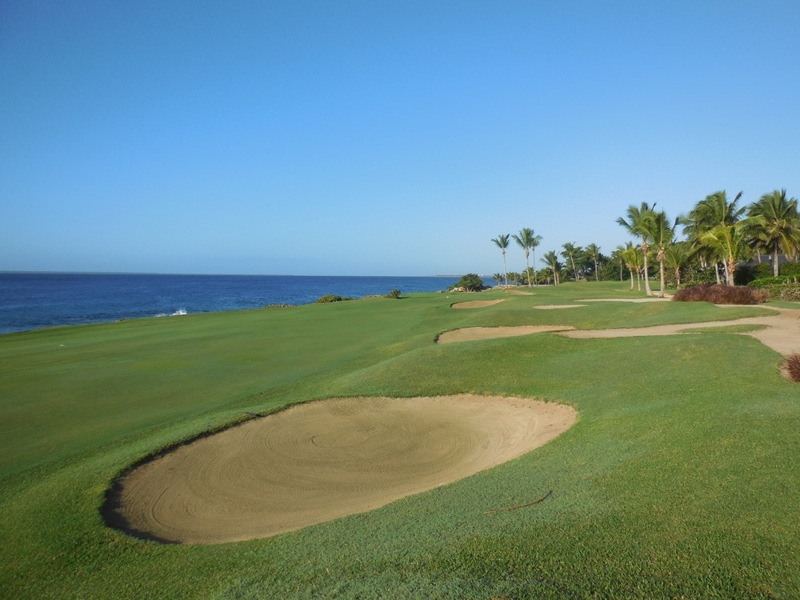 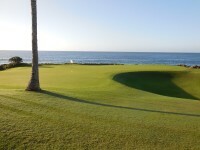 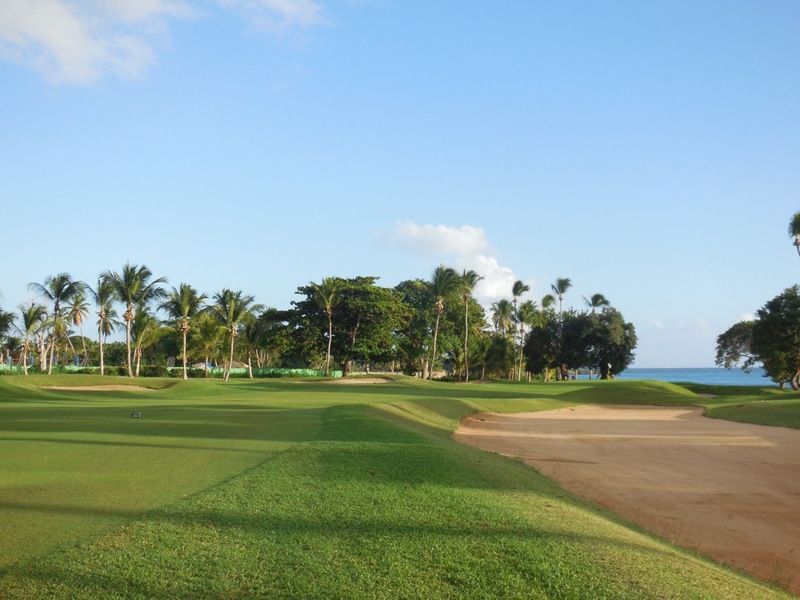 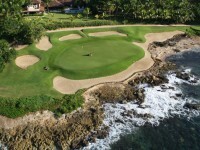 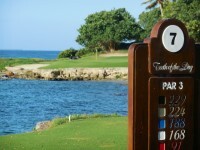 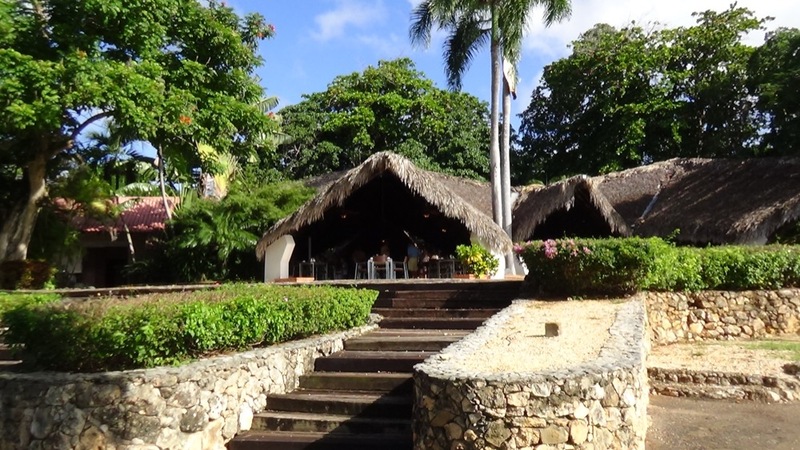 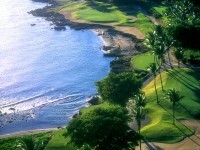 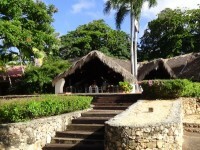 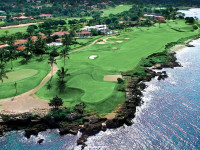 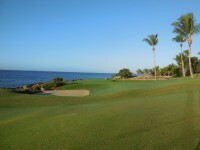 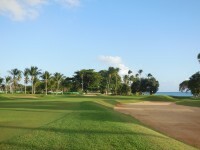 Casa de Campo offers a world-class resort of the highest standard, golf at Teeth of the Dog notwithstanding. 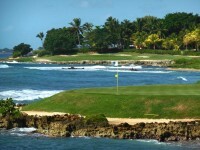 So easy to get to, with La Romana Airport minutes away and Punta Cana International barely an hour and a half, Casa de Campo offers fully staffed traditional deluxe villas, beautiful hotel accommodations, an amazing Marina village with an assortment of restaurants and a world-class “piazza”to sit out and enjoy the evening sunsets, and of course a sumptuous spa. 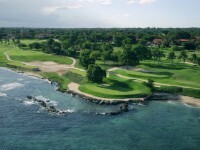 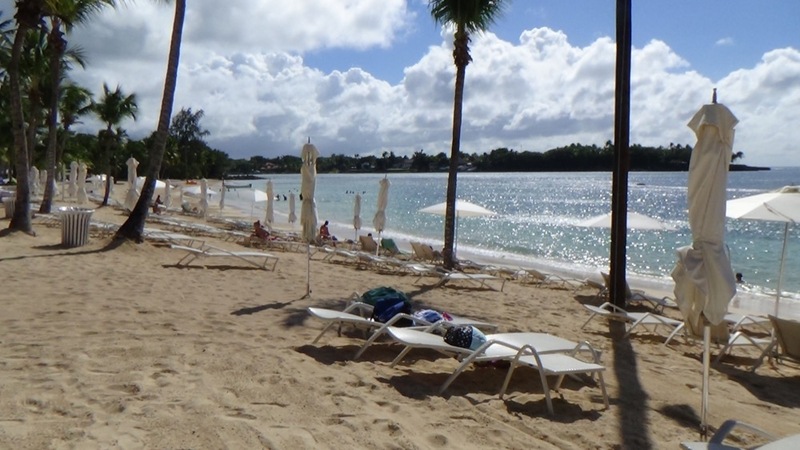 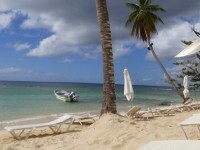 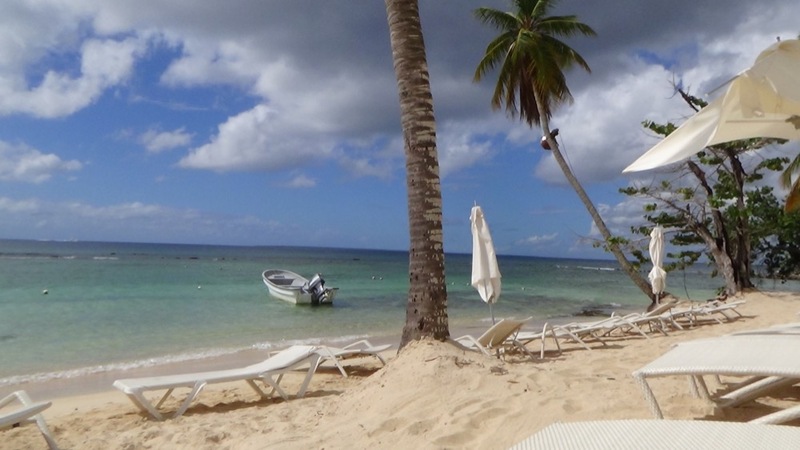 Teeth of the Dog is just the icing on the cake, Casa de Campo is “it”for an ultimate vacation getaway not far from home!